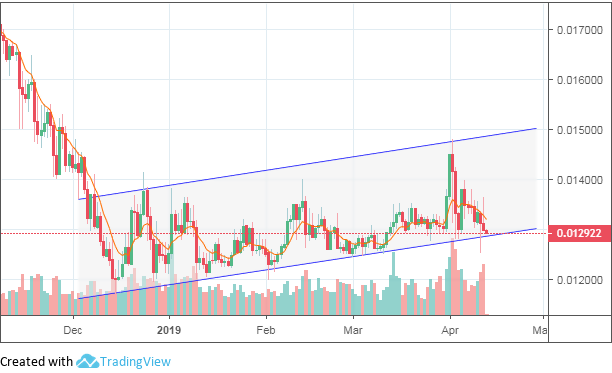 Monero has stayed nearly even with Bitcoin in 2019, though other altcoins have outpaced it with news of tech upgrades and partnerships. Bugs have held Monero back from achieving more wide-stream adoption, and will need to be stymied for later competition. 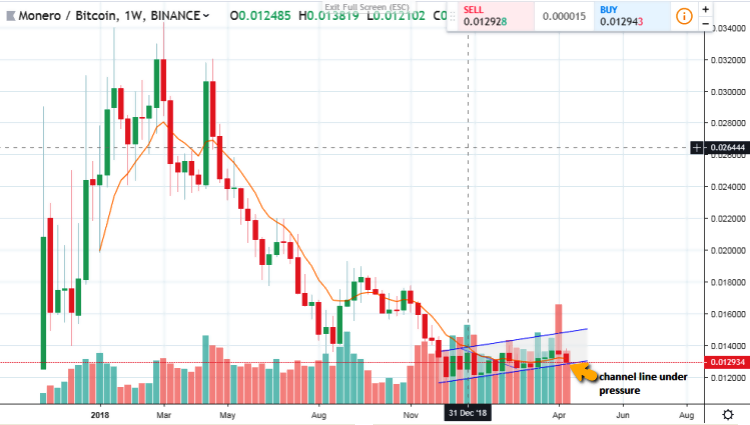 Monero looks to be in a bearish mode on Bitcoin trading in mid- and long-term technical analysis. Some weeks ago, Monero was shaken by Ledger wallet developers announcing a bug in the Nano S Monero app which caused a client to lose 1,680 XMR. Furthermore, the strengthening of Bitcoin prices has served to further dampen the price of an asset that's clearly struggling in the market. Monero has managed to stay about even on BTC this year, in terms of trade pair and USD value increase. Both have seen a near 40% increase since Jan. 1. News from the coin and team haven't been in abundance in 2019 and the community is waiting to see if Monero's XMR coin can find adoption as a faster and more private alternative to Bitcoin. There are a lot of pointers to indicate that the lower channel line may give way sooner than expected. There's a predominance of selling volume, which is shown to be increasing on the daily chart. Also, the dynamic support/resistance 9EMA line has been broken to the downside (a bearish signal), and the lower channel line is being tested once again. We should also remember that BTC’s strength does not show any sign of abating in the short term.